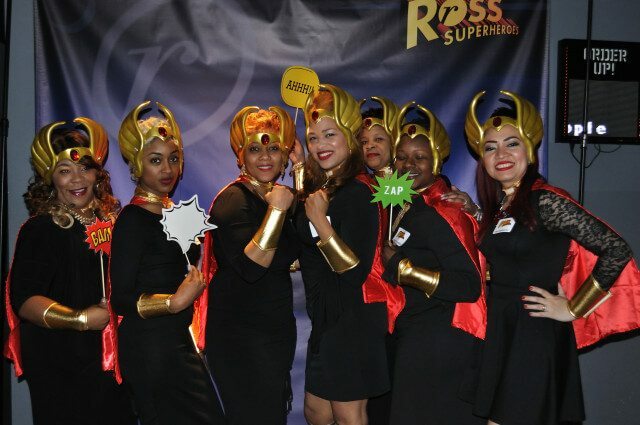 No villains were allowed Wednesday night at ROSS Companies’ Annual Employee Recognition Event. 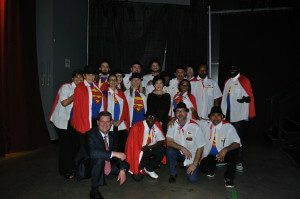 The superhero-themed extravaganza at The Fillmore once again was a huge hit, as ROSS handed out its yearly awards to deserving employees and communities. With a theme of “ROSS Superheroes – Bring on the Good!”, the event featured motivational speaker Alex Sheen, the founder of “because I said I would.” The declarative phrase represents the international social movement dedicated to the betterment of humanity through promises made and kept. With spirits soaring high and many team members dressing to match the superhero theme of their region and department, the award ceremony was a lively honoring of ROSS Companies’ best of 2015. The prestigious honor for Community of the Year was split into two categories: one for communities with under 275 apartment homes and one for those with more. Park Vue Apartments (Alexandria, Va.) won the Under 275 award and Seasons of Bel Air Apartments (Bel Air, Md.) the Over 275 honor. While those bestowments were undoubtedly team awards for those properties, the nervous energy in the room began to escalate as the individual awards shifted into focus. 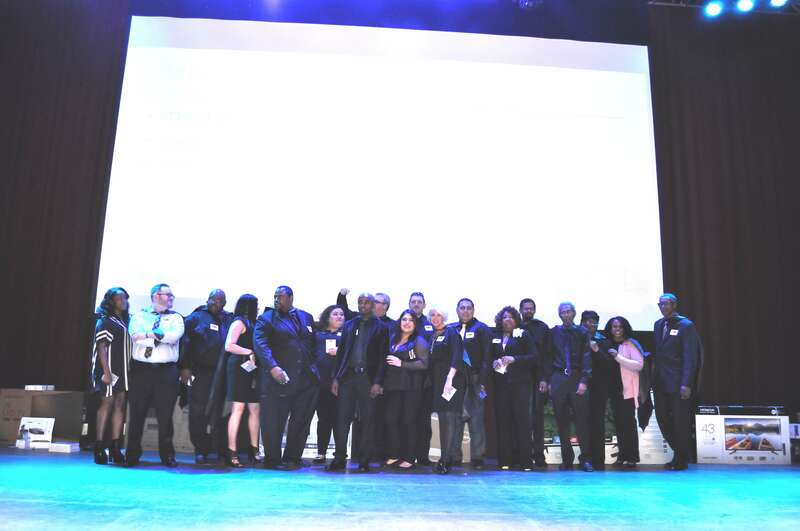 Perhaps the most prestigious of the bunch was the Property Manager of the Year, which honored the property manager with the best overall community performance in regards to occupancy, expenses, community inspections income, NOI and recommendations from RPM. The winner: Fran Bennett from Glen Oaks Apartments, located in Greenbelt, Md. Bennett emerged from a competitive list of nominees that included Janice Marchesani (Seasons of Bel Air), Kim McLaughlin (EOS-21), Ashely Lynch (Colesville Towers), Dametrice Myers (Oaks at Park South). The award winning property manager took home $1,500. With assistant property manager roles becoming increasingly prominent, ROSS designated a category honoring these employees as well. The winner was Uchenna Optuta of Spring Parc, located in Silver Spring, Md. Optuta was joined by nominees Millie Heyward (Seven Springs Apartments), LaVerne Walker (Colesville Towers) and Glenny de la Cruz (Metro 710). The award winning APM received $1,000. Optuta wasn’t the only one to represent Spring Parc on the grand stage. Fereshteh Coley won both the Sales Person of the Year and Sales Circle of Excellence awards, taking home a combined $1,500. Additional community winners were Grandview Apartments (Customer Service Circle of Excellence; Safety Award – Garden Community), Pleasant Hills (Highest Increase In Online Payments), Cole Spring Plaza (Best Collections of the Year), Forest Oak (Safety Award – High-Rise Community), EOS-21 (Most Improved Community) and Charlestowne North (Inspection Award). Additional individual awards spanned various topics. Lance Reedinger and Jonathan Eyering of Seasons of Bel Air teamed up to win the Best Show Me Your Vacant Apartment Video. Other individual winners included Katie Thomas of American Heritage Apartments and Raven Place Apartments (Telephone Presentation Excellence), Sarah Esterbrook of EOS-21 (Social Media Award) and Erick Henson of Heritage at Old Town (Rookie of the Year). Seven Springs was represented by a pair, as Tom Mullins (Reputation Management Award) and Nelson Cole (Maintenance Technician of the Year) each were victorious. Gerald Abbot of Glen Oaks joined Bennett, the property manager winner, in representing the community by taking home the Maintenance Supervisor/Lead Maintenance Technician of the Year. 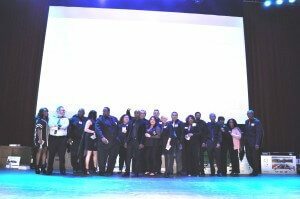 Awards were also presented for Main Office personnel, including co-winners Alla Shtipelman and Jimmy Smith Sr. (Teamwork Award). Miguel Espinoza earned the At Your Service Award, Jan Barrett the Innovation Award, Katie Thomas the Lifetime Learner Award and Chris Nourse the Rookie of the Year Award. In the spirit of the guest speaker, a Because I Said Award was presented and taken home by Yanwei Wang.